At EWSWA, we’re here to help residents and businesses of Essex-Windsor recycle their household waste and put less trash on the curb. 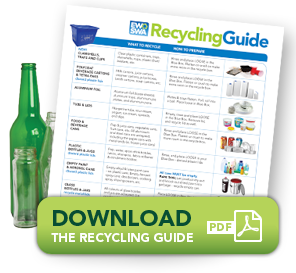 Browse this site to learn about curbside recycling collection, public drop off depots and transfer stations, disposal of hazardous waste and electronics, our public education programs and what’s new. EWSWA is a municipal agency created by the County of Essex and the City of Windsor to provide waste management programs and facilities for the residents and businesses in the County and the City.